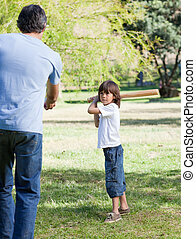 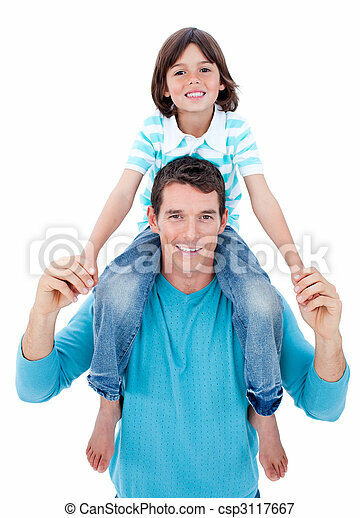 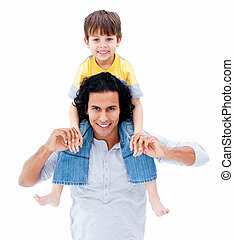 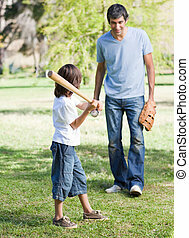 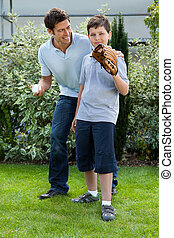 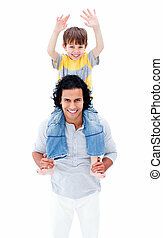 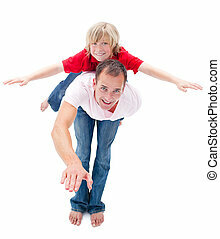 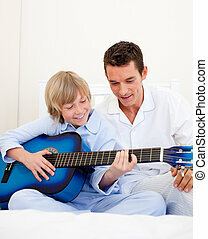 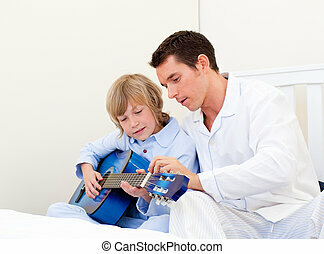 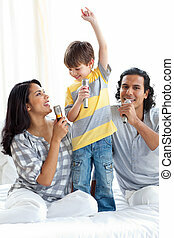 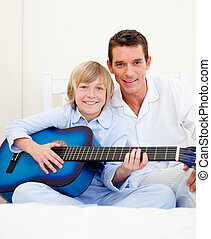 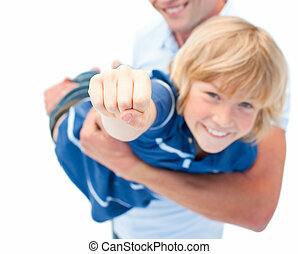 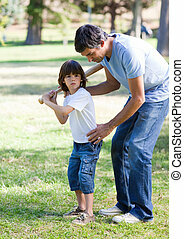 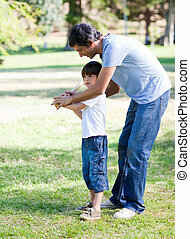 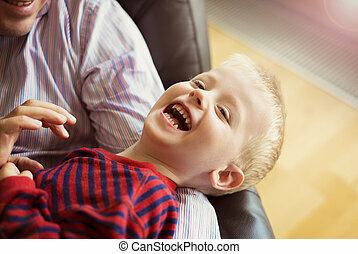 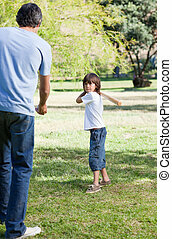 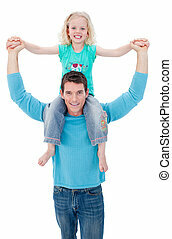 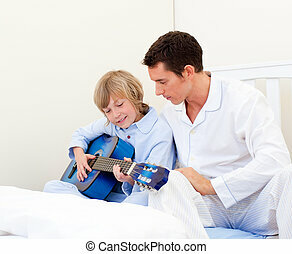 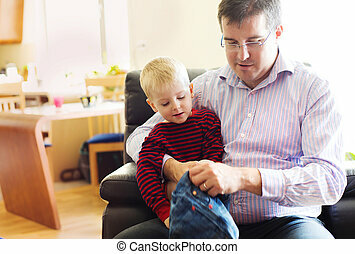 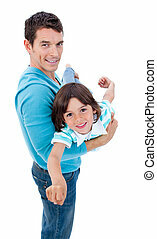 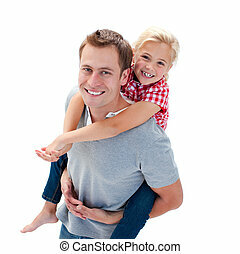 Adorable little boy enjoying piggyback ride with his father against a white background. 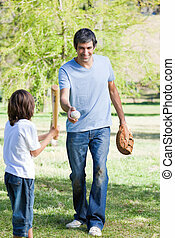 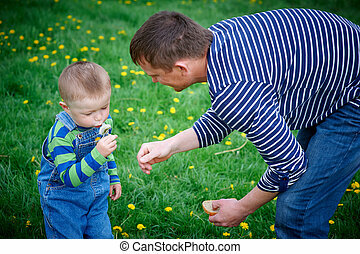 little boy and his father play with dandelions. 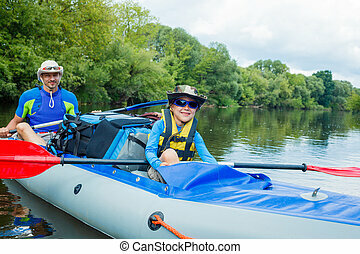 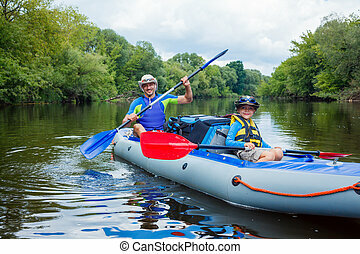 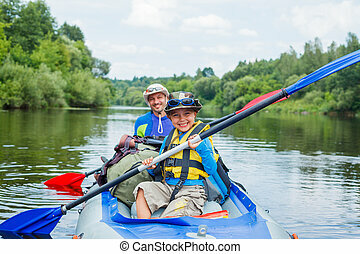 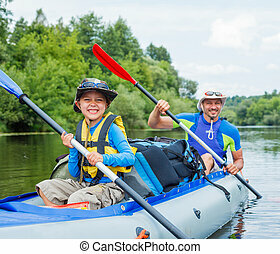 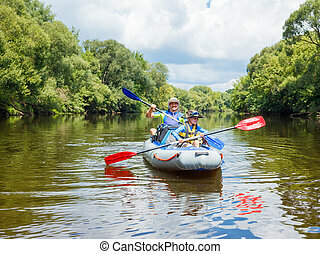 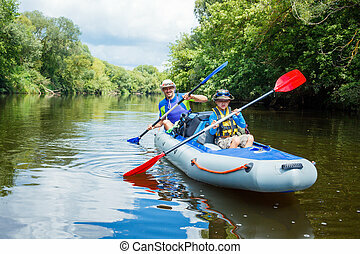 Summer vacation - Happy little boy with his father kayaking on river.